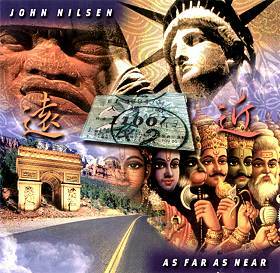 "As Far As Near" is the ninth CD on Magic Wing by award winning pianist and composer John Nilsen. One of the top selling instrumental pianists in the United States, Nilsen reaches a new creative depth in this travel inspired collection of original compositions. Touring the U.S., Great Britain and Japan in the past two years has provided Nilsen with the fuel and inspiration to create a strong, melodic and intelligent NAC recording combining elements of comtemporary jazz, classical, folk and rock.